Lieut.-Gov. 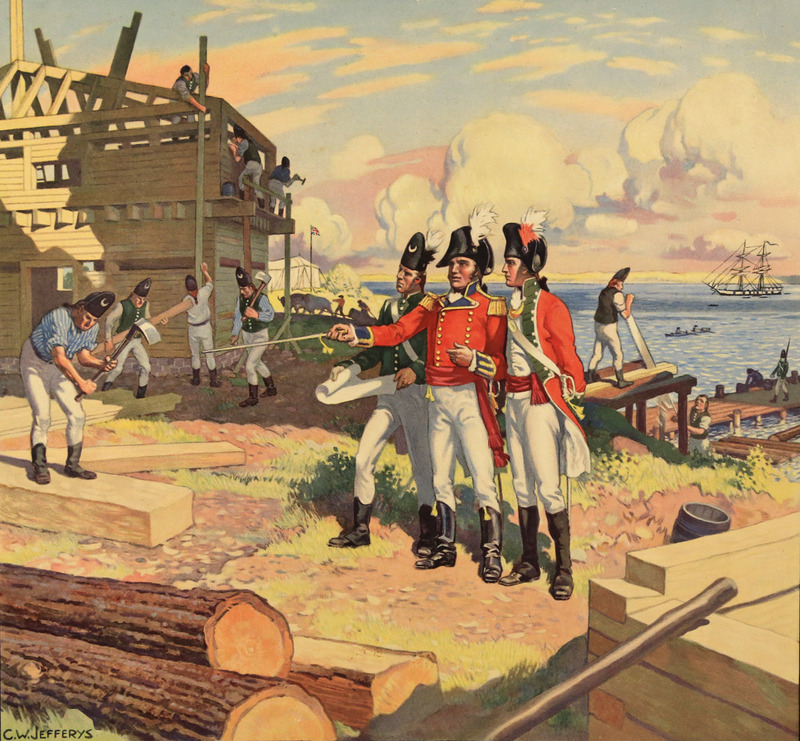 Simcoe supervises building of Fort York in 1794. In right background is a saw pit. Timbers were cut from Toronto forest.